Fun and colorful Christmas ornaments celebrating Mexican favorites like tacos, nachos, and more! Mexican food has become a favorite all around the world today. It's a cuisine full of bold, fresh flavors, colorful salsas, crunchy tortillas, luscious cheeses and the bounty of the sea. What's not to love? 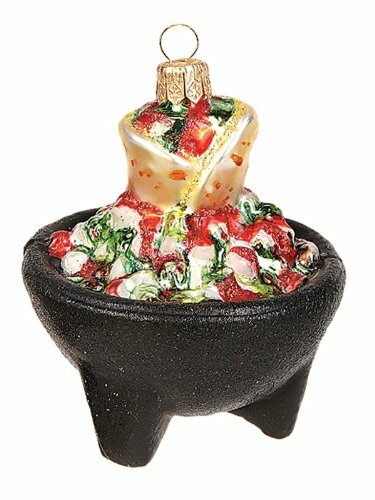 If you're a fan of Mexican cuisine and you enjoy decorating your Christmas tree with fun and unique ornaments, then you have to check out some of the food-themed ornaments I've found and spotlighted here. 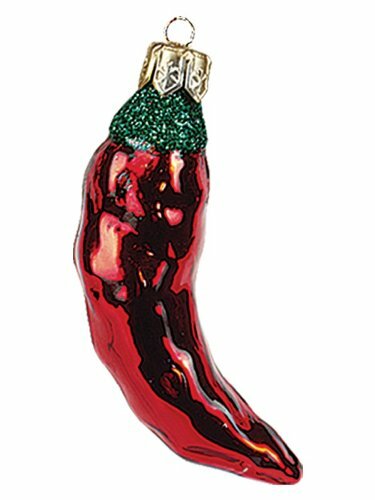 These delightful ornaments would also make great gifts for anyone you know who is a fan of Mexican food, too, perhaps as part of a Christmas gift set of cookbooks, sauces or cooking utensils essential to Mexican cooking. How to get the party started? With a bowl of salsa and chips, of course! 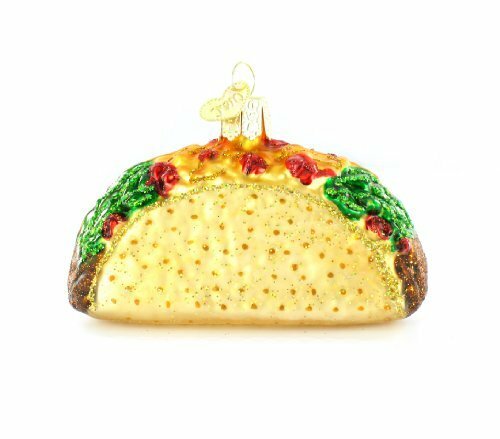 This staple of Mexican restaurants around the world of course is the perfect way to start a themed Christmas ornament collection. Mouthblown and hand-painted, the ornament is approximately 3 inches in height - so it will definitely stand out and be seen! The salsa is served up in a traditional Mexican molcajete, which is used for grinding spices, preparing salsa and guacamole, and also for serving dips and other food items. A staple of Mexican food! Tacos are simply everywhere today, and of course a favorite of Mexican cuisine. It's a traditional dish made from a corn or flour tortilla folded around the fillings of your choice: shredded beef or chicken, grilled fish, or yummy vegetarian choices like guacamole or black beans. The versatility of the taco is what makes it so popular, a treat found in restaurants, on food trucks, or as one of the most popular forms of street food around. The two glass ornaments shown here are a perfect way to celebrate the delicious yumminess of the taco...even at Christmastime! Mexican Food Truck, Coming Through! Food trucks are everywhere, and carrying all kinds of food today. 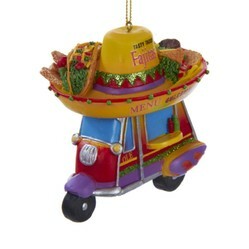 Here's a colorful ornament made to resemble an authentic Mexican food truck. You'll definitely get some delighted giggles if you give this one as a gift to any Mexican food lover. Because you can't make guacamole without it! The avocado is, of course, the essential building block of any Mexican guacamole dip. But you'll also find the avocado used in other ways: in soups, in salads, and as an accompaniment to grilled or stewed meats. 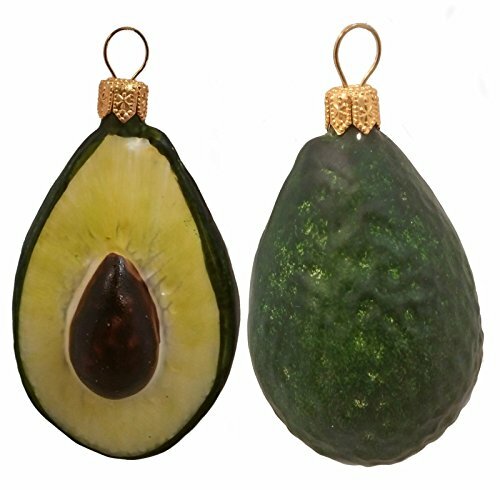 Celebrate the avocado with this lovely glass Christmas ornament. 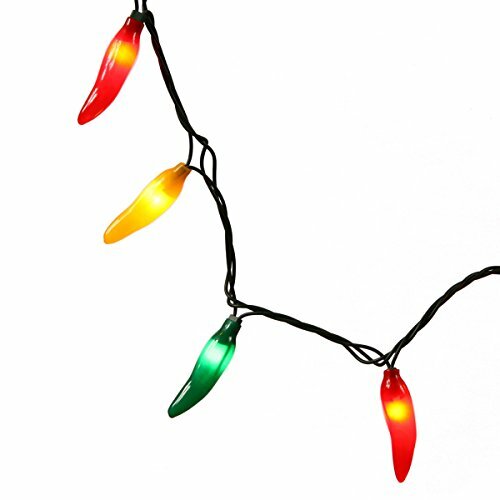 A set of two will really help carry the theme for your tree. Jalapeno, serrano, poblano...hot peppers are ubiquitous in Mexican cuisine. Roasted and chopped, they're great to spice up any salsa. You can add them to a marinade for meat or chicken. You can pickle them and add to tacos, or saute and add them to a quesadilla. You can stuff them full of cheese or meat to make a chile relleno. No matter how you enjoy them, they are certainly an essential element in Mexican cooking. 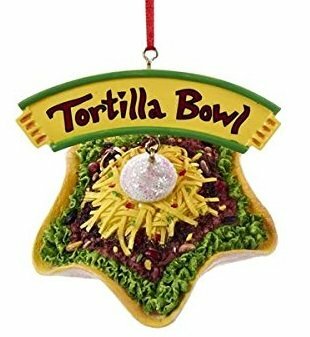 So of course they deserve a place on a Mexican food-themed Christmas tree! 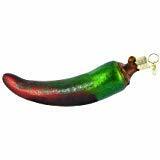 There are both glass ornaments and even chile pepper Christmas lights...what could be better? What's your favorite Mexican food dish? A Taco Salad for your tree? 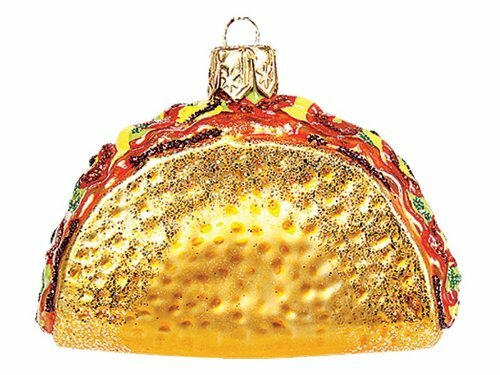 Here's one last ornament perfect for a Mexican food theme. Tortilla salads are super-popular these days, a (perhaps?) healthier way to enjoy the flavors of a taco or nachos where you can eat as much (or as little) of the taco shell as you like. Hope you enjoy it with some Mexican food "flair"! Hmm, I should put together a Chinese food ornament collection! Oh how fun! Now these are gifts that my husband could sink his teeth into...almost...he loves Chinese food. 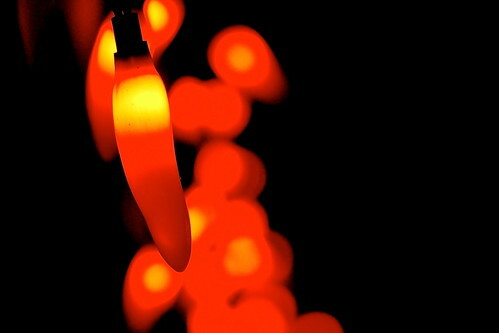 Love the chili pepper lights and the Guacamole Song. Bring a taste of Italy to your Christmas tree this year with some of these fun and unique pizza Christmas ornaments. Do you know someone who is an avid home cook - or maybe you are yourself? If so, check out this collection of fun Christmas ornaments all about home cooking.